I'm lucky for all my friends I've met through blogging! 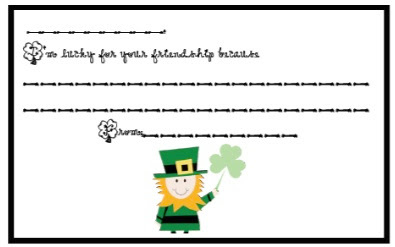 Grab some lucky bucket fillers to use in your classroom. I nominated you for One Lovely Blog Award too! Your blog is so cute! I love all of your ideas. I am your newest follower! Just printed out your bucket filler sheet. I could use a new one for March! What a cute idea!!! Thanks for sharing, I am definitely going to be using these for our bucket filler notes for March! I just found your blog and am your newest follower. Thanks for the freebie!